Anyone who’s witnessed Jonny Lang in concert already knows of the febrile passion he summons on stage. Often looking as if he’s locked in his own zone, galvanized by an electric guitar, the once-child prodigy and now-29-year-old seasoned musician elicits many an inspired, spontaneous moment rather than merely duplicating his songs in front of an audience. Which is arguably why his studio albums have never really been able to capture that same impulsive energy. That’s not to say his records, particularly his lauded major-label debut, Lie To Me, and his even more realized follow-up, Wander This World, didn't offer soulful, formidable performances. However, the difference between the LTM version of “A Quitter Never Wins” and the one on his latest release, Live At The Ryman, is pronounced. 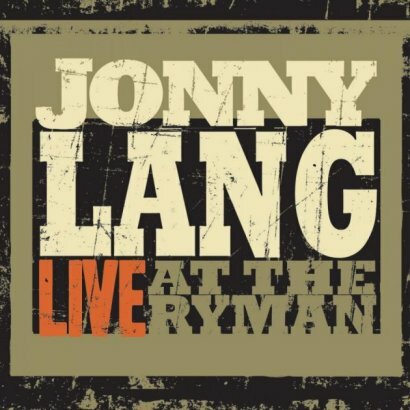 It’s much the same story throughout as Lang delivers a solid if not altogether well-rounded batch of songs—nearly half come from his 2006 Christian-influenced LP, Turn Around—leaning heavily toward more-recent fare. Still, he shines on “Give Me Up Again,” exhibiting his vocal maturation as he sings with marked restraint before and after howling out its anguished refrain. Things then simmer down on “Breakin’ Me,” with Lang drawing out the poignant, acoustic cut for nearly eight minutes. Despite boasting a funky roll through the Prince-penned cut, “I Am”—which Lang wraps up with some high-pitched wails that would make the Purple One proud, or jealous—the album’s major disappointment is in its overall shortage of covers. In fact, Lang often dusts a few of them off during his concerts, including Stevie Wonder’s “Living For The City” and “Superstition,” his take on the latter bearing striking resemblance to the late Stevie Ray Vaughan’s ferocious rendition. Such inclusion would not only have been welcome, but it would have also reflected more of a representative set overall. Nevertheless, Live At The Ryman is sufficient in its merits to please old and new listeners alike.